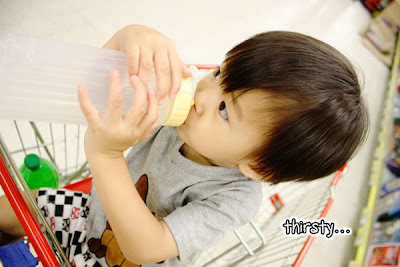 My son is obsessed with Carrefour. 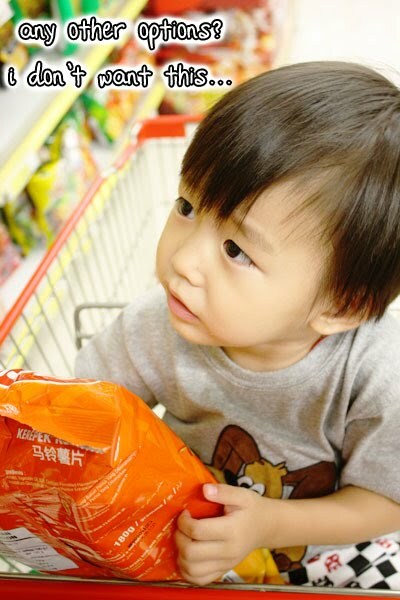 If he happens to cry or 'lao gai', if I say I'll bring him to Carrefour and ask him to behave, he will hold his tears, and wait patiently until I bring him there. 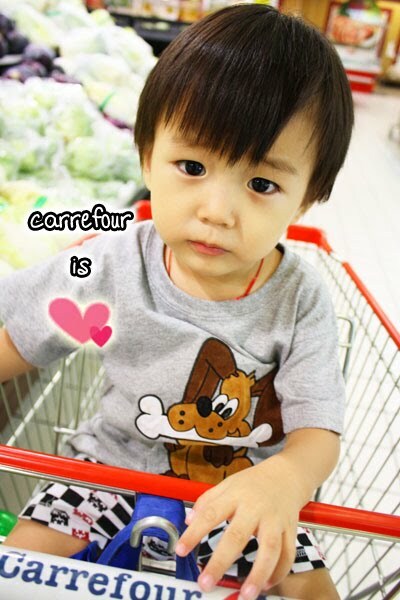 I don't know why he like Carrefour so much, it's not like we let him run around or let him play in the arcade centre. 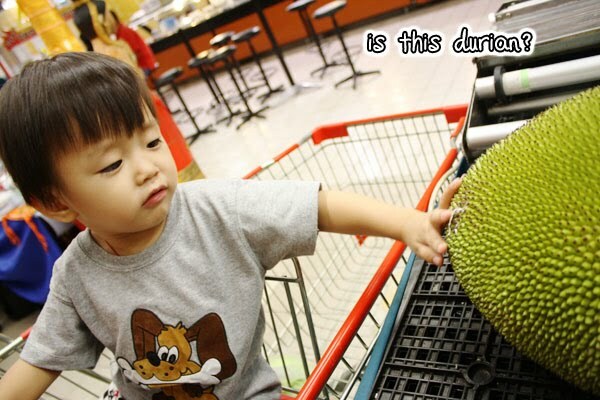 All the time, he'll just sit inside the trolley, go around with us while we shop for grocery stuffs. 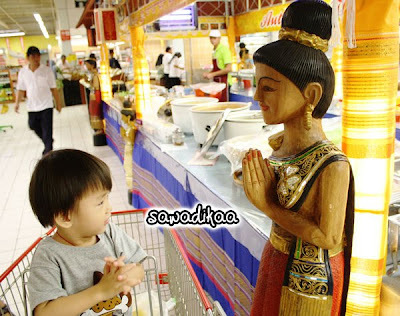 But it is always a good thing that he likes shopping with us. 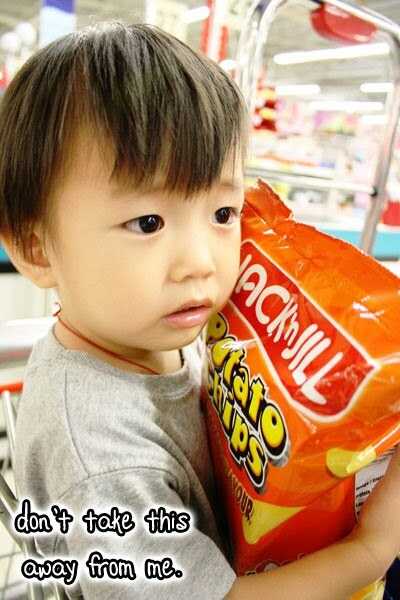 At the same time we can teach him vocabs, let him touch, see, feel and smell, experience all the things available in the supermarket. I guess this is one of the way to educate him. Hope that he'll still like to shop with us many, many years after. P.S: I lug my baby Canon into Carrefour. People are staring at me in a weird way. He is so cute lah!